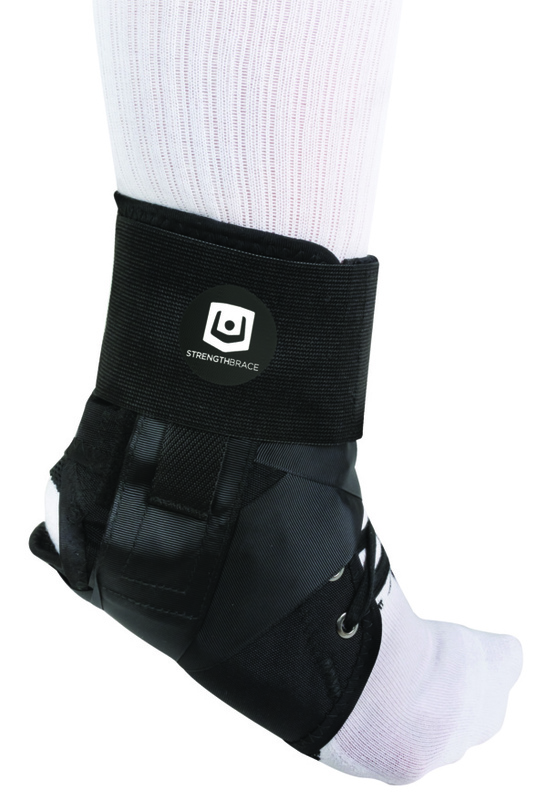 Ideal for wearing after cast removal or for moderate sprains, the STRENGTHBRACE Canvas Lace-Up Orthopedic Ankle Brace fits either the left or right foot, and is available in multiple sizes. The lace-up enclosure provides a secure medial and lateral fit, while the unique figure-8 strapping provides extra support and stability. Available in multiple sizes, ensuring the right fit for you. Unique lacing and figure-8 strapping. Breathable mesh under foot to prevent sweating. Mesh near heel to prevent chafing and discomfort. Based on patient's shoe size. *Providers are responsible for determining appropriate billing codes for Medicare/Insurance claims. This information is included for your convenience and is not intended, nor should it be considered billing advice.